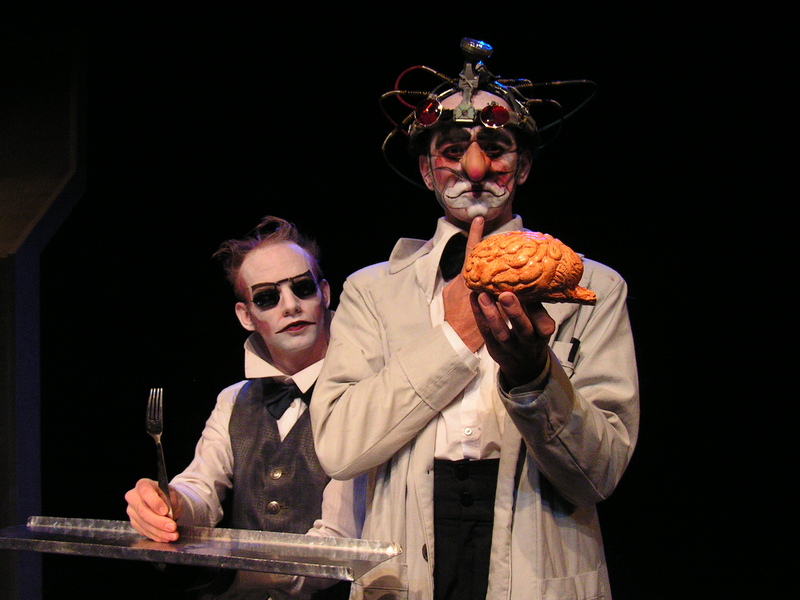 MY HEAD is a horror comedy about the brilliant brain scientist and his servant, who interferes in everything including the research. With perseverance and energy the brain scientist attempts to rid himself of the servant, but it proves to be a difficult task. The servant keeps turning up in possible and impossible places, leaving one in doubt as to who controls who. What is the servant’s agenda? And does he exist at all or is he ’merely’ part of the galloping madness appearing to rage in the brain scientist’s mind? Despite Science’s progress in research into and mapping of the human brain no explanation exists of why it doesn’t always function according to purpose. As a figure of the Kafkan gallery of characters the brain scientist does get out of his depth, where the difference between reality and fantasy is infinitesimal or very hard to perceive. What and/or who controls our brains? Are we the masters of our own brain or are we slaves to the capricious organ?